This article will Guide you on some basic things you really have to know before venturing into Trading Cryptocurrencies, things you have to do and those things you really have to avoid, because of how lucrative the business have become, Just glance through the article and figure out some things that will be helpful to you and beneficial to you. 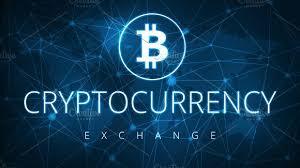 Cryptocurrency exchanges are businesses that allow users or investors to trade cryptocurrencies for other assets, such as conventional fiat money, or different digital currencies. Nevertheless they are some major reasons that will interest you to invest in cryptocurrencies. First, you want to protect yourself financially against any failure, which has been the reason so many come to trade. Second, because you support the social dream behind cryptocurrencies about its growth on value which will benefit you on the long run, maybe you started trading with a little capital as a newbie, then make a huge profit when it raise to a great value of a free and hard money for the whole world. Third, The fact that you really know how the company operates, how it works about its volatility and so much characteristic about them. However so many people still fall victims when it comes to investing, some will want to make quick money which is a bad reason for a potential trader, especially in cryptocurrency due to its instability, you will have to think about it. Furthermore, This market trading is a risky one and cryptocurrencies are very volatile. They rise and fall without warning. This means that a cryptocurrency’s past doing and detials is not a guarantee for its future that's why you should build the mind first before you go into trading it and achieving consistent profiting is never assured. What crytocurrency should I trade? 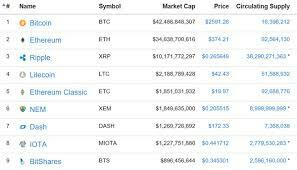 Bitcoin is the most standard among other cryptocurrencies, it stands as number one among all cryptocurrency, off wish it has been on that spot for years without any currency currently trying to get to where bitcoin has gone to. Below picture will show some other cryptocurrency to trade. Maybe reading and researching about them will get your interest you can like to trade on them. Trading cryptocurrency you will find yourself in a market that looks for impressive that it may seem, most times you will see that they is a chance for you to make a very huge profit while at times they will be lose. How Can I Purchase Cryptocurrencies? Gone are the times when buying cryptocurrencies was a big issue to traders and investors probably, then after the market explored to wild range of people knowing how they can benefit from the currency so many platforms took it as a business and now we have lots of options to where you can buy cryptocurrency. They are so many companies that sell cryptocurrencies. Companies like KRAKEN, BINANCE, BITSTAMP, BITTREX Where you can get Currencies like Litecoin, Ripple, monero etc. People located in Canada you can take Exchanges like (Consquare)as a very nice exchange to work with. Asian have BTCchina, Okcoin, bitflyer etc to work with and make a very good save while they buy Bitcoin. Bitcoin has a variety of exchanges and buying it is not a big problem, You just have to create an account with any exchange of your choice then fund your account with them, by doing so you can start you can buying and thesame tine trade bitcoin. When working with Exchange you have to know which Exchange suites you best depending on the way you want to Trade, If you have the interest to purchase bitcoin in bulk and at fast delivery you need to make use of the major Exchanges which can provide you with enough liquidity. Same time you want to purchasee in a low quantity you can still make use of small Exchanges for a good rate and then wait till your order is delivered. After purchasing cryptocurrencies, next thing from you is to look for a way to store them perfectly. One of the good characteristics of cryptocurrencies is its simple user interface, you don't really need an external to tell you what to do, Same applies when you want to store your currency, you just have to work with a software on your device to store you cryptocurrencies, Softwares like Electrum which is very simple to access and fast, It is available for every device. Again, you have most options with Bitcoin. Bitcoin has the most wallet to have existed, which can be used to send,receive, and store Bitcoin. 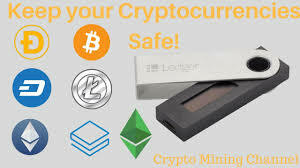 Moreover when you store cryptocurrency by yourself you have all the responsibilities to handle its solely meant for you to strive for the safety and security of your coins. Fortunately, they are so many ways to backup your wallet maybe for future purposes against its security, you can copy your wallet file on a USB stick. With your private key you can still gain access to your coin, printing it out will be a very nice alternative to be on safe side. This private is used to access coins belonging to a certain address. Lastly on backup most wallets makes use of seed which consists of 12-24 random words, with them you can only gain access to one wallet. Hardware wallets like Trezor seems to be among the safest wallets to store cryptocurrencies like Bitcoin, it can generate signs and keys transactions without involving the the main computer. The best of Bitcoin is that its private keys has nothing to do with the internet. Some Lightwallet, for example, Exodus, can store several coins beside Bitcoin, for example, Ethereum, Dash, Litecoin, and Dogecoin. Also, Electrum can be used to store Litecoins and Dash. But then, storing a huge variety of Altcoins on your own is also a hard task to achieve, but to that you will have to download the client of all the coins, download it's blockchain then keep it updated, If your portfolio consists of 10-20 coins this can be removed as an option by you if you wish. 1. Long-term Traders: People in this type of trading buy cryptocurrencies and hold it for very long space of time, then they now study the price trends to know how the market really works during that period by such doing they don't suffer much from some the ups and downs in the market. This type of traders are dominated by people that believes that the value of Bitcoin will grow over a long period of time, if you find yourself having same believe then you are recommended to be among this type of traders. 2. 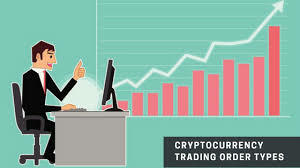 Short-term Traders: This type of trading involves traders who don't want take any risk of allowing their currency stay for a long time for they do not know what might be the next trend so they take the advantage to buy and sell their cryptocurrencies at the same time living a space of minutes or hours. 1. 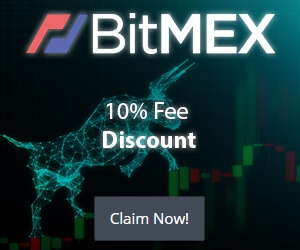 Cheap fees and fast exchanges: Traders with good exchange get a very low fee because those exchanges take a very low percentage which is normal for traders and also transferring coins are at a very low cost. 2. Volatility: When they is a great increase in value and price of currencies they stand a very great chance of profiting so much, but then as said it is volatile so most times it will also decrease, As well you make a huge profit from a smaller investment. .
3. Open all week. Cryptocurrency can be traded at any point in time, it is available 24/7 so no time of no market all time you can sell as long its business hours you will make more sells during business hours compared to the off business time. If you must be successful on trading cryptocurrencies you have to be extremely careful you could find yourself gambling more than you’re trading, and eventually you might lose everything you’ve invested. Trading is not a game nor a joke, Same way real money is to be made, real money also is to be lost. 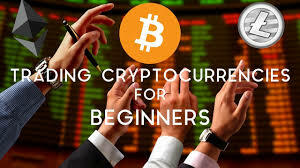 In conclusion, trading cryptocurrencies is not simple its something that needs much thinking and reasonings involved, you need to adapt to the market as well working towards not losing much, think of a way outside the box how you can secure your trading so that you will not suffers the pitfalls of cryptocurrencies. But then to avoid failing in the market you need to be updated read and research about any latest news about trading cryptocurrencies, that way you can get some more knowledge about the market which is the most important.